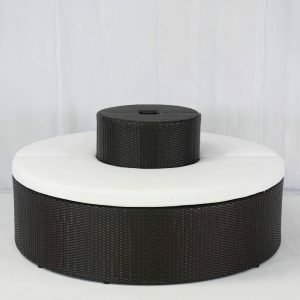 The Miami Outdoor Daybed in black comprises a round, black rattan daybed base topped with a white fabric-covered mattress. 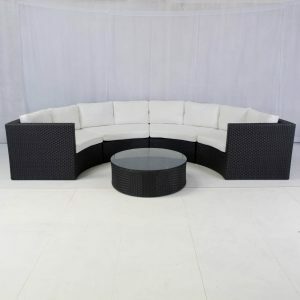 If you’re styling your event in white – good news – this daybed is also available in white rattan. 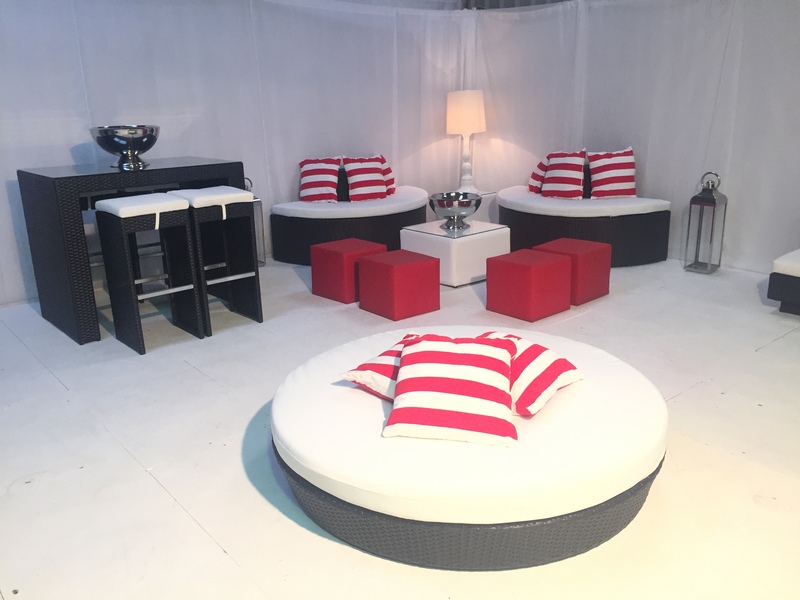 Inspired by the decadent poolside furniture found at the luxurious hotels of Miami Beach, our round Miami daybed is simply perfect for adding a touch of Florida beach chic to your summer party or event! 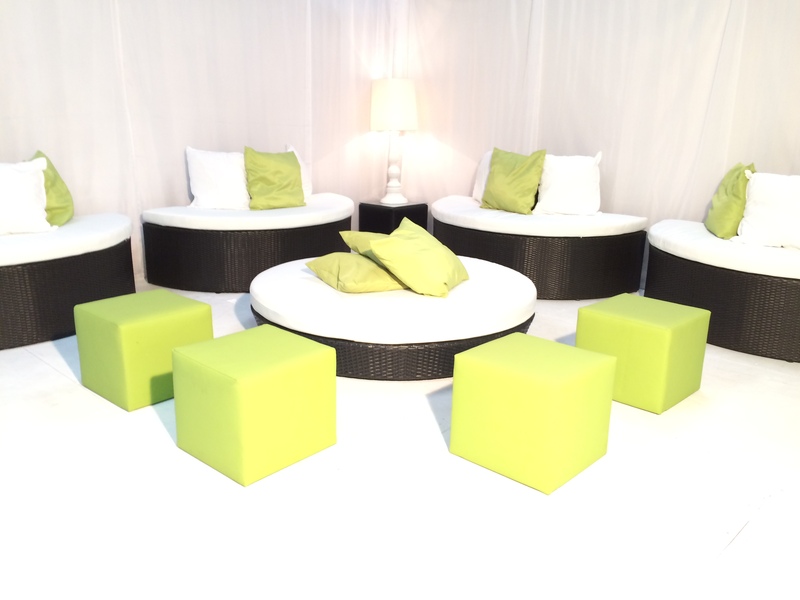 Your guests will love relaxing on this day bed at a pool party, in a marquee or anywhere you need to provide the ultimate in chilled out seating. 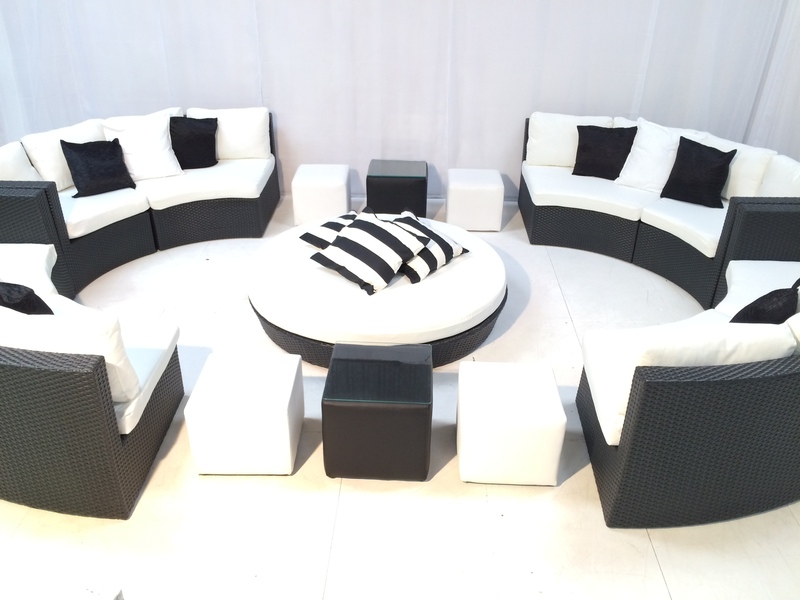 With curved and round furniture tipped to be a hot trend this season, why not create a funky look for a party or event by styling the Miami daybed with other curved furniture. 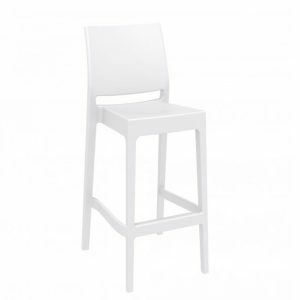 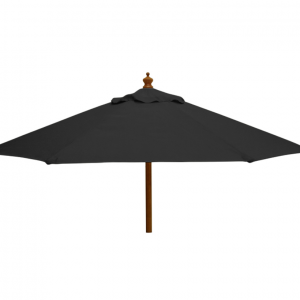 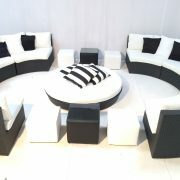 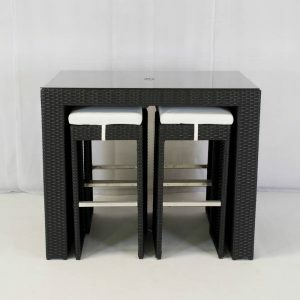 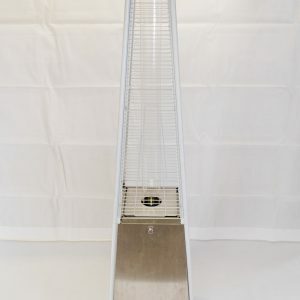 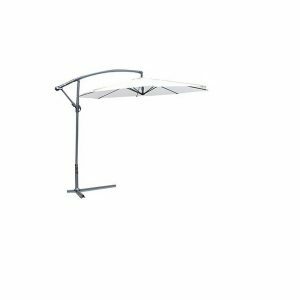 Hire it alongside the round black rattan Banyan sofas or the elegant, curved Bulgari for striking effect. 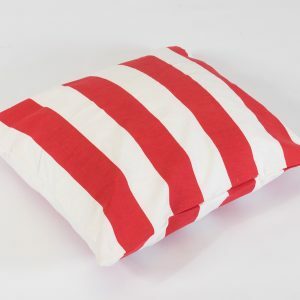 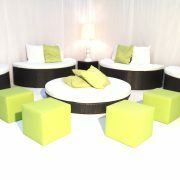 Adding scatter cushions to your furniture hire is an easy but effective way to add a pop of colour. 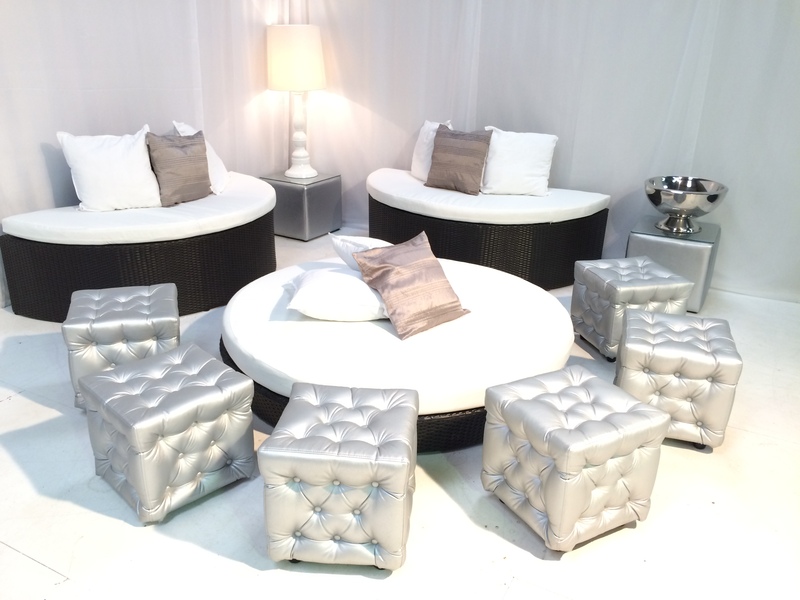 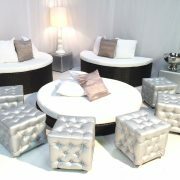 Add the Miami Outdoor Daybed to your quote today for the ultimate in relaxed glamour for your event! 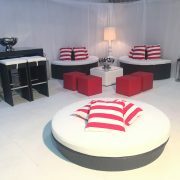 PLEASE NOTE: The mattress pad of the Miami Daybed can withstand a light shower, but is not fully waterproof. 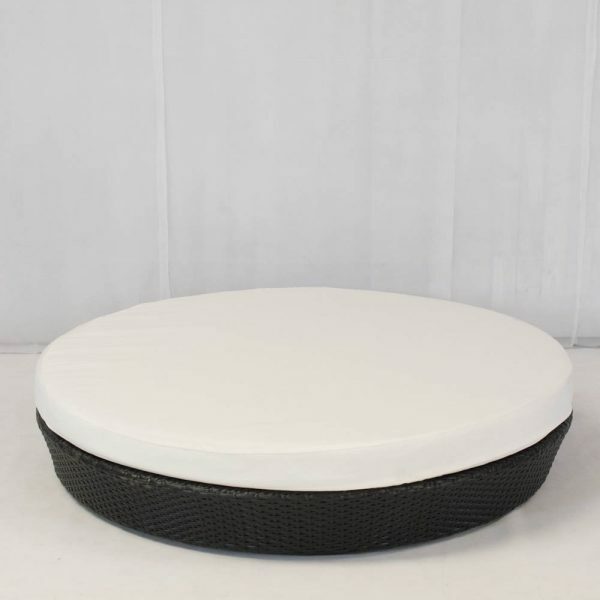 Whilst the base can remain outdoors, the mattress should be brought indoors in the event of heavy rain.